A great question came up in my Facebook Group that I think will resonate with a lot of people. (If you’d like to join the group, you can get access here. The question was, “How do you choose a color scheme when you have hand-me-downs or mis-matched items?” I think we can all relate when it comes to keeping much-loved items that either have been gifted to us, handed down, or collected along the way in our travels. According to The National Association of Realtors (NAR), the average buyer is expected to stay in their home around 9 years. Just think of all the items we can collect over that period of time! A lottttt. When it comes to selecting a color scheme or palette for a room, you’ll want to stick with three colors to keep things simple. One or two of these colors will be the stars of the room, while the third will serve as more of an accent color and used sparingly. Let’s use a Living Room as an example. 2. Write down the feeling you want to exude in the room. Do you want to add energy? Adding warmer colors to the space is a great way to do so, orange specifically. Are you looking for a calm, relaxed vibe? Green, blue, and pink will help you to achieve this. 3. Make note of the colors that you and your family members love and don’t love. Removing colors that people dislike from a space can actually reduce stress and increase happiness — a definite bonus! 4. Consider the directional orientation of your room, as well as the location of your home. If you’re looking to warm things up, again using colors like red, orange, yellow, and even brown will help you to achieve this. Conversely, blue, green, purple, and even gray will help to cool a room down. 4. Remove ALL ITEMS from the room. This includes throw pillows, blankets, area rugs, artwork, window treatments, accessories, and lighting. We are going to keep all of the furniture that is absolutely necessary in order for your baseline functions to continue to take place in the room. To start, let’s keep only the sofa. 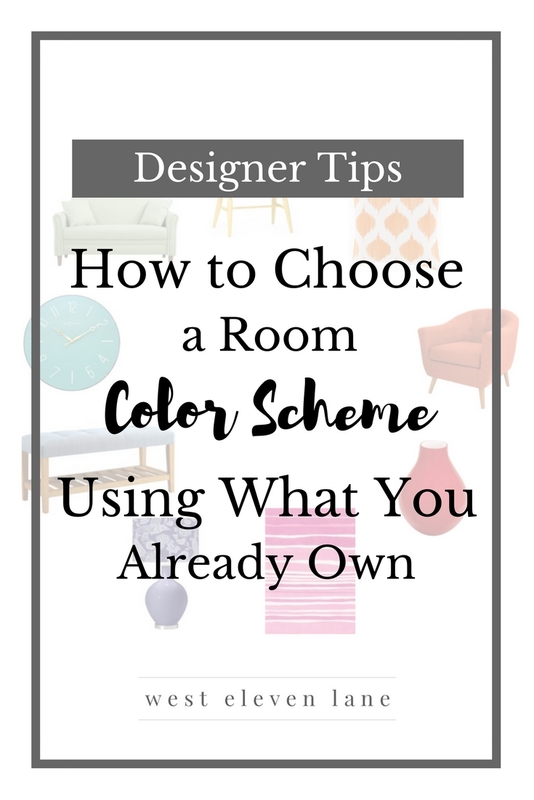 Because it is a necessary item, that is going to be the first color in your new color scheme. 6. With your new color palette chosen, begin to bring in items that not only function well in the space, but also match your new scheme. These items may be from the original room, or you may find that items in other areas around your home that also work well in your new space. Hopefully you had fun with this exercise and it helped you to refresh your space. Let me know if you have any other questions below!